Option 1: Things pretty much carry on as they are. I write short stories and some end up published by Indie publishers. I make a nominal amount on each story and get the odd contributor’s copy. Meanwhile I write more novels, none of which any agents or publishers will touch with a bargepole so I self-publish some of them. Effectively writing remains a hobby. Option 2: Similar to option one, only I get my short stories published by publishers that pay pro rates, and maybe a novel gets picked up by a publisher, or else my self-published works take off a little. I make a bit of money, not enough to remotely stop working but maybe enough to pay for the occasional luxury item, or maybe even a holiday, and enough for me to legitimately consider writing a part time job. Option 3: Similar to option two, only several novels sell, and whilst the money doesn’t exactly roll in, I get to a point where the paycheques are regular enough and large enough that I could consider writing my full time job, or at the very least a point where I could afford to work just a couple of days a week in a ‘proper’ job and still live the bacchanalian life to which I’ve grown accustomed. Option 4: Similar to option three, only my novels sell quite well, I become a well-known author, and maybe a book gets optioned by an independent film company to be made as a low budget straight to DVD flick starring Vinnie Jones or Danny Dyer. Quite patently writing is my career at this point. Option 5: I become JK Rowling (or possibly just E. L. James). My books sell in the millions, are translated into every language on Earth and are optioned by major Hollywood studios who make giant blockbusters out of them starring Jennifer Lawrence. I make enough money to buy my own castle and pay Richard Branson to shoot me into space. Of course there are probably varying shades of grey (see what I did there) between each of these options, and I think it’s fair to say that option 1 is more likely than option 2, which is more likely than option 3…and so on and so forth. Of course being realistic, anything beyond option 1 is, at the moment, a pipe dream given the most I’ve ever been paid for a story is probably around the £10 mark. But part of being a writer is about having dreams and goals, and at the very least I believe, seriously I really do, that one day I will sit within option 2 at the very least, hopefully option 3. Four would be nice, but I’m not sure I’m that good (see, I have set myself realistic goals. I have self-belief but acknowledge I have limits…hopefully the gods of literary fate are listening and are impressed by this). *aside from those pesky Twilight Zone aliens obviously. Directed by James Griffiths. Starring Nick Frost, Rashida Jones, Chris O’Dowd, Olivia Colman. As a child Bruce Garrett (Frost) was a top Salsa dancer, winning numerous trophies in a partnership with his sister (Colman). Unfortunately on his way to the national championships he ran afoul of a gang of boys who took exception to his silk shirts and sequins and beat him up. In the aftermath of the attack he lost his passion and hung up his dancing shoes. Fast forward a few decades and Bruce is now working for an engineering company and living a fairly humdrum life, until the new boss at his firm turns out to be a beautiful American woman named Julia who just happens to be into Salsa. Smitten, Bruce finds his passion reawakened, and he seeks out his old Salsa coach (Ian McShane) to get him into Salsa shape so he can impress Julia. But can he dance his way into her heart before work colleague Drew (O’Dowd) does? Cuban Fury is perfectly serviceable, plucky Brit underdog rom-com, the kind of film that you’re likely to see several of a year, but when I say perfectly serviceable this isn’t to disrespect Cuban Fury. It does what it says on the tin and does it well, and frankly it’s the kind of film it’s all too easy to screw up, just take a look at Run Fat Boy Run starring Frost’s mate Simon Pegg as one example. Good casting always helps, and here a wealth of British talent is on display. It helps greatly that Nick Frost is such a likeable screen presence, and it’s nice to see him playing the romantic lead. Colman is always good value, and excels in a fairly slim role as his supportive sister. O’Dowd, much like Colman, probably couldn’t turn in a bad performance if he tried, and he’s great as the love rival you WILL love to hate. Throw in Ian Mcshane who curiously makes for a quite believably grouchy old Salsa mentor, and Jones who does well with a fairly generic role. You have to admire any film where they can get someone of the calibre of Rory Kinnear to play the scruffy best friend as well. The show is almost well and truly stolen by Kayvan Novak as Bruce’s camp Salsa buddy Bejan. There’s also a very quick, but very funny cameo. You might be able to guess who it is! It’s pretty lightweight stuff, and though it isn’t quite as predictable as you might think, it doesn’t deviate much from the usual rom-com roadmap. Just once it’d be nice to see the gender roles of the loveable loser/pretty American reversed in a film like this. It’s a curiously old fashioned film too, not too many films nowadays will rely on a mix tape as a plot point (though it does lead to an amusing joke) and it’s even odder when Bejan seems to be using a pager. As I said earlier, it does what it says on the tin and does it well. It’s easy to root for Frost and easy to boo O’Dowd, and the film made me laugh in excess of the six laughs required under the Kermode test of whether a comedy is funny. A good cast, a sharp in places script, and the novelty of seeing Frost not only dance, but dance really well, manage to tip this film just above average. It’s not hugely memorable, and it’s not going to trouble many awards ceremonies this year, but it’s unlikely to sit in anyone’s worst of the year list either. By Joe Hill who, in case you didn’t know, is the son of Stephen King…yes that Stephen King. Ignatius “Ig” Perrish wakes up one morning after a drunken binge to find that he has horns growing out of his head. He has no recollection of the previous evening, except the vague notion that he did something bad. He quickly discovers that although other people can see the horns, they don’t seem especially surprised by them, he also discovers that now he has them, people feel compelled to reveal their innermost secrets and desires to him, as well as being honest about how they feel about him, brutally honest in many cases, because you see Ig isn’t the most popular person in his hometown of Gideon. This is because a year earlier his childhood sweetheart, Merrin, was raped and murdered out by the old foundry (where Ig spent the last night getting drunk on the anniversary of her death) and though he was never convicted of the crime, most people still think he did it, including his parents, as Ig discovers to his horror as the power of the horns means he learns things about people he never wanted to know. After his gran tells him what she really thinks of him Ig pushes her wheelchair down the hill, but worse is to come when his brother, Terry, admits that he knows who really killed Merrin. Ig runs to the old foundry where he lives as a hermit whilst he tries to come to terms with his increasingly demonic appearance, as well as planning his revenge, but will the devil have his due? I have to admit that Horns had a heck of a hook, a man starts to manifest signs of being a demon and discovers he can not only make people tell him their darkest secrets, but also push them towards acting them out if he so chooses (though much like Satan he can’t make you do anything you didn’t really want to do). Once the story gets going it doesn’t quite unfold as I was expecting, which is both a good and a bad thing. I certainly can’t call the novel predictable, even if one particular character is so clichéd it’s painful, but the flipside of its originality is the fact that the story tends to meander a bit in places. One early flashback in particular proved a bit of a slog to get through, though luckily the pace soon picked up again. Hill is a good writer. For the most part his characters feel real, in particular Ig and his brother Terry, and, even though she’s dead when the story starts, Merrin, and the parts where Hill describes the emotional breakup of Ig and Merrin’s relationship was heartrending to read. His prose is descriptive without becoming overly flowery, and he manages to shoehorn in a lot of devil and religious related imagery and concepts. The central conceit is interesting, and Hill makes some good points about Lucifer; e.g., if the Devil punishes sinners, doesn’t that suggest that he and God are on the same side? The story itself is paper thin however, and feels like it’s been stretched out. I’m not saying it isn’t enough for a novel, but it probably could have been chopped down without losing much impact. In particular some of the flashbacks are a tad redundant. Well written and original, I couldn’t help feeling slightly disappointed by the end of the book. There are lots of interesting threads seeded during the story that seem to be suggesting things would come together by the end in a way that explains what’s going on in a wider context, and whilst in some cases these earlier plot points do come around again (in particular a scene in a ‘potentially’ imaginary treehouse) on the whole many points aren’t, in particular with relation to the villain, and if there is a bigger picture to see at the end of the story, maybe I’m just not smart enough to see it, or perhaps this is just a fairly simple story about a boy who becomes a demon? Horns, interesting and infuriating in equal measure but I will pick up other things Hill has written now. 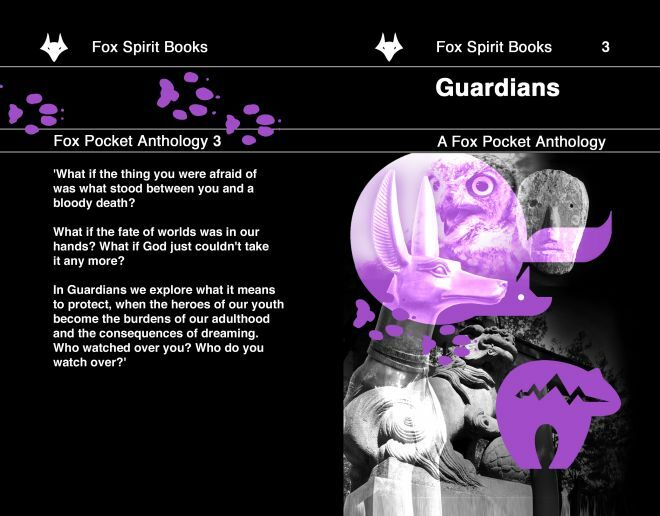 Learned today that the Fox pockets anthology ‘Guardians’ featuring my short story ‘Swung’ is now available to buy! Directed by Kenneth Branagh. Starring Chris Pine, Keira Knightley, Kevin Costner and Kenneth Branagh. It’s somewhat scary to realise that The Hunt for Red October came out way back in 1990! Back then CIA analyst Jack Ryan was played by Alec Baldwin, though he was soon replaced in the role by Harrison Ford in Patriot Games and Clear and Present Danger. An attempt was made to reboot the franchise in 2002 with Ben Affleck which, whilst successful, was never followed up on. Although I kind of fell out with Tom Clancy’s work over time I am a big fan of a lot of the novels featuring Ryan, so when news broke that another reboot was in the works I was interested, despite some misgivings about the casting of Pine, and initial set photos that seemed to indicate they were planning to turn Ryan into some kind of Bond/Bourne action hero. The film begins on 9/11, where Jack Ryan is studying at the London School of Economics. When the twin towers fall however he quits his studies and enlists in the Marines. Flash forward a couple of years to Afghanistan and he’s involved in a helicopter crash that leaves him unable to walk. Whilst he recovers he meets both Cathy Muller (Knightly) a med student, and the mysterious Thomas Harper (Costner). Muller will eventually become his fiancée, whilst Harper recruits him to the CIA and wants him to work undercover on Wall Street. Flash forward ten more years and Ryan uncovers a plot by Russian patriot Viktor Cherevin (Branagh) to cause a financial crisis that will usher in a second great depression in America. Harper sends Ryan to Moscow to find out more, but things soon start to spiral out of control for Ryan. First he’s almost killed by an assassin in his hotel room, and then Cathy turns up unexpectedly, meaning all of a sudden it isn’t just Jack in Cherevin’s sights. There’s something quite old fashioned about this film, and I’m not just talking about its Cold War vibe. The film actually looked quite old and grainy in places, though whether this was a conscious decision on the part of the filmmakers, or just down to lousy projection by my local Cineworld, I don’t know. Joking aside this plays less like a modern techno blockbuster and more like an old school spy thriller, bringing to mind films such as The Fourth Protocol. By turns this is both refreshing and frustrating. Refreshing in that the film is more than just a series of dumb action set pieces, and frustrating because it makes the film feel a little dated. It’s to the film makers credit that they take the time to show us some of Ryan’s backstory rather than just dropping the character on us fully formed, so we see the helicopter crash that left him a cripple, see him learning to walk again, the implication of an issue with painkillers, see him meet Cathy and be recruited by the CIA. The downside is that it makes the opening to the film a bit choppy, though it’s nowhere near as daft as the opening portion of The Last Crusade where seeming every aspect of Indiana Jones’ character arose out of one incident on a train! The terrorist attack finale is perfectly serviceable, if more than a little generic, but it is in the bulk of the film between the origin story and the explosive finale where the film finds its metier, and whilst Jack’s assertion that Russia is about to bring down the US economy seems to come out of nowhere, once he’s on the way to Moscow the film settles into a comfortable rhythm. Set-piece wise this isn’t a rollicking action movie where one gun battle morphs into another and a succession of car chases try to outdo each other. Instead there are quieter moments, secret codes, lonely meetings in forests, loaded conversations, secret liaisons on park benches. It’s all a little sub- John le Carré, though I would stress this isn’t a bad thing, and when the action arrives it’s handled deftly by Branagh for the most part (aside from some annoying shaky cam bits) and whilst the fight in a hotel bathroom isn’t quite Casino Royale brutal, its exceptionally well put together, as is a tense spot of breaking and entering and a car chase that serves as the backdrop for an unsettling conversation about the potential misuse of a light bulb. Pine is solid as Ryan, playing the character deftly, allowing him to be both thoughtful and a man of action, and if some of his ‘analysing’ is a bit simplistic then that’s the script’s issue rather than his, and he convinces as a man who can handle himself in a fight, but only barely, and there’s more than a hint of vulnerability in his Ryan that is sadly lacking in many modern day action heroes, and perfectly in tune with the character. I can barely remember what Affleck was like in the role, and frankly I never thought Ford was well cast, so for me Baldwin is the definitive Jack Ryan, but I’d have to put Pine second to him now. Knightly is very good, or at least she was once I acclimatised to her American accent. Seriously, hearing cut glass Keira saying “Moss-Cow” isn’t pleasant. Other than this she’s great, even if her undercover work seems a little too polished (I kept thinking, give this girl her own spy film!) and whilst she does have to act as the damsel in distress at times, even then she imbues Cathy with strength of character. It’s nice to see Kevin Costner getting a bit of a renaissance of late, and he plays the laconic older mentor to a tee. Similarly Branagh is as reliable as ever, although in some ways his portrayal of Cherevin is a microcosm of the film itself. At times he’s a complex patriot, at others a moustache twirling villain of the kind who routinely kills his henchman just so you know he’s the bad guy. So it is with the film, and at times it’s quite intelligent, whilst at others it doesn’t do much to stand out from the action herd. It doesn’t reinvent the genre, it isn’t going to win any awards, and it may well be a little too subdued to kick-start the franchise once more, but it’s a solidly enjoyable film that never once bored me, and left me hoping that it does do well enough to prompt a sequel, because whilst it isn’t based on an actual book of Clancy’s it feels like it should be, which is probably the biggest compliment I can pay it.